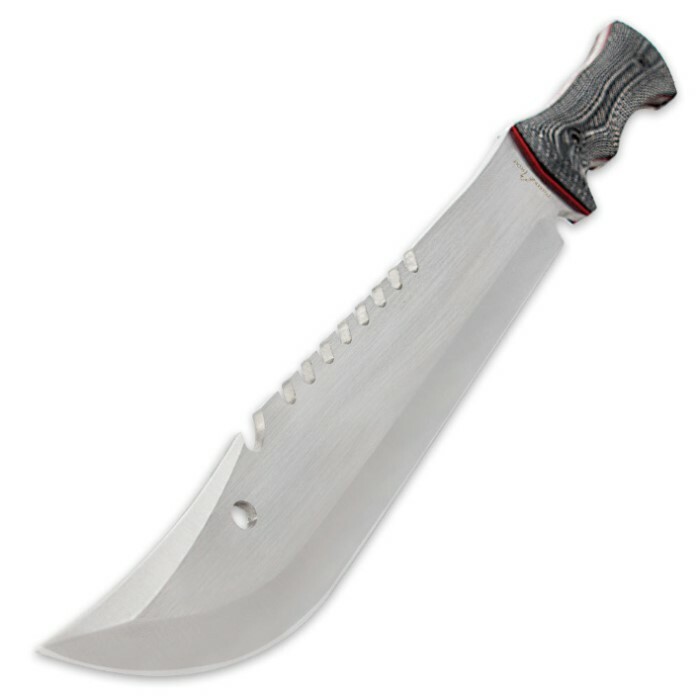 Timber Wolf Raptor Bowie With Leather Sheath | BUDK.com - Knives & Swords At The Lowest Prices! 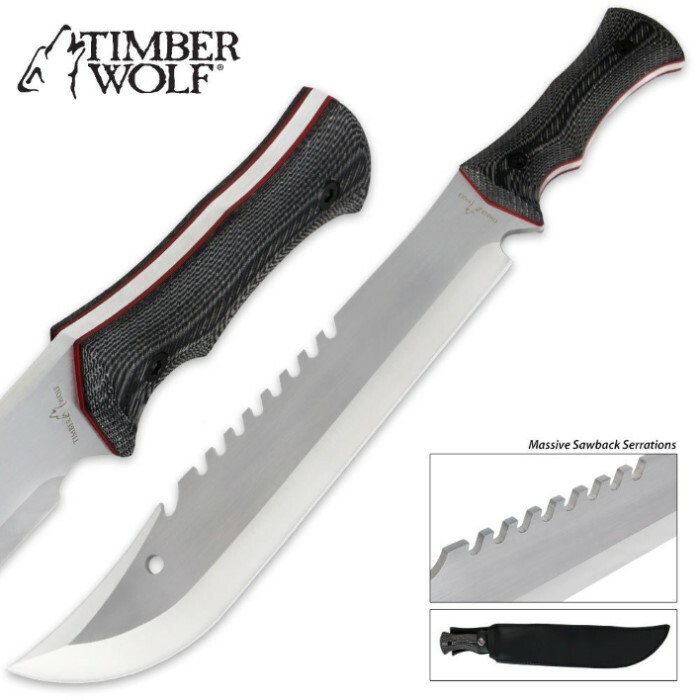 Timber Wolf's new Raptor Bowie will dominate your most demanding chores and outdoors work with its massive machete-style blade. It's a little bigger than a traditional bowie and slightly smaller than most machetes, bringing you the best of both worlds in one stout blade! This full-tang beast of a blade is more than 5mm thick with a sharp edge, piercing point and powerful sawback serrations. The hefty full-tang construction can take a beating and allows you to hack or saw through just about anything quickly and effectively. The rugged Micarta handle grips provide a secure, slip-free grip. 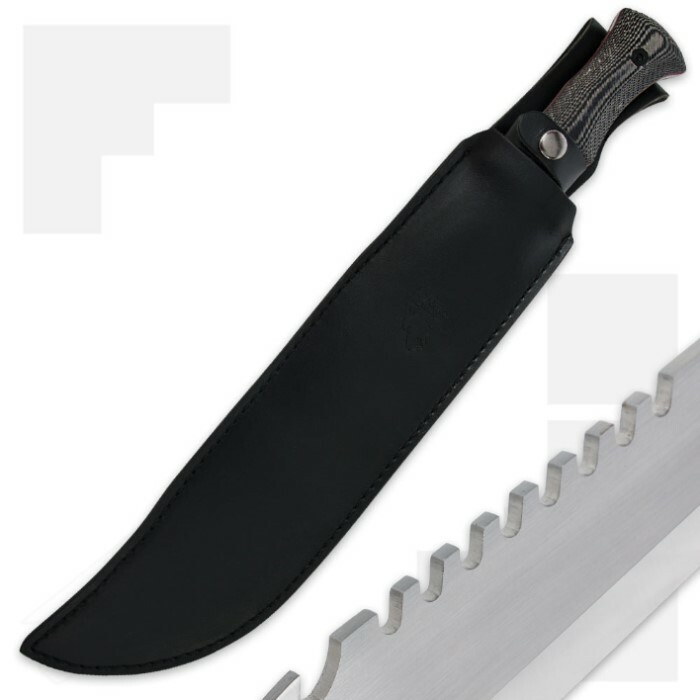 A black leather sheath is included to house and transport the Raptor Bowie.